I remember those exact words of my final interviewer. Though the Placement Committee had told us not to accept direct offers, my excitement levels pushed me not to follow the formalities. I replied with gratification. Again, no made-up scenes here. It’s all fresh in my mind – those very words! She consoled me by saying that she too had been on the other side and knew how it exactly felt. She was an XLRI graduate after all. My smile at that point in time had overcome the fatigue in my eyes. Those endless hours of preparations, CV reviews, placement talks, placement week, unending GDs, and a saga of failed interviews – everything seemed positive. Fulfilled. Accomplished. The final handshake marked the end of the most hectic (Try it out, sometime!) and the most awaited event – The Summer Placements. Thankfully, my friend and I had got into different companies at the same point in time. “Dev! Give me a hug! It’s over.” She called out to me as soon as I entered the common hall. I could see the satisfaction in her eyes. That 36 hours of sleeplessness applied to her as well. So, I will be dividing my article into numerous pieces to convey my journey from the preparation phase for the Summer Placements to the actual journey of the internship at Flipkart (the name remains the same, folks!). This piece will not be focused around any gyaan, inspiration, or tips. But instead, it will echo my story. One week into joining IIM Lucknow, and there was a chaotic storm thrown at the PGP1 students. Apart from the academic basket of quizzes, projects, case studies etc., a significant amount of time went for the preparations of the Summers. The 3-month long process incorporated everything. I started off with CV making (basically, it started before the first trimester started), and then getting numerous reviews for the same. Meanwhile, a plethora of sessions ran on mock interviews, technical round classes, mock GDs, and likewise. The whole idea was to prepare an individual so that he/can does not face any different situation on the judgement days. Being a fresher, I targeted the all the companies that matched my profile. As guided by my mentor, consulting companies were nowhere near to shortlist me. So, my preparation was primarily focused around the finance and sales & marketing companies. Finance prep required brushing up the key concepts. For marketing, the preparation was more diversified. I had to read about numerous companies and their significant initiatives. Additionally, there were sessions focused on guestimates, ad-analysis, campaigns, etc. I still remember the question about my favourite ad (Maserati GranTurismo – check the ad someday!). And lastly, just that I did not feel bad later, I gave a few days on case analysis, which turned out to be the gamechanger in the Flipkart interview. The strategy which I had followed was to stay consistent. It sounds pretty clichéd, but it is a fact. The routine becomes frustrating with different arrows thrown at you from every possible angle. So, consistency and being steady is the key. Attending the sessions helps significantly. Your understanding of the placement process becomes evident. Students can have an idea as to what the process of a particular company will look like. So, emphasis should be given to the routine and guidance provided by seniors (some colleges have dedicated committees for the same). I cannot describe the whole placement process on the online platform. But, most of the interviews for marketing companies included GD rounds, technical interview and final HR interviews. For some companies, the technical or the HR round was subsequently divided into further rounds. 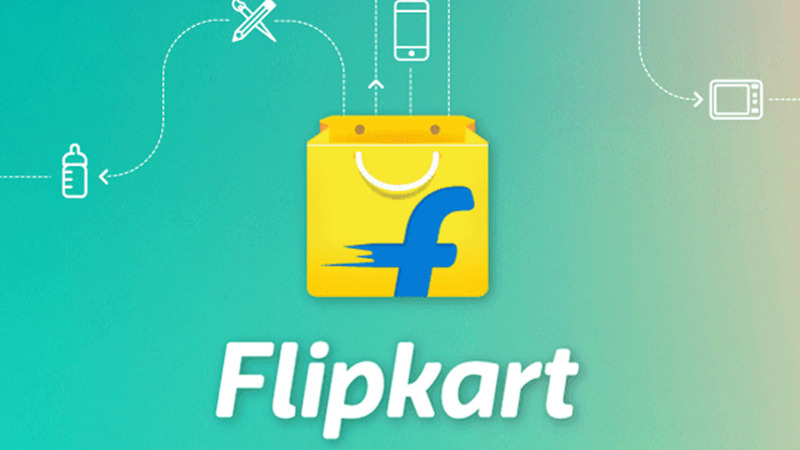 Flipkart focused on the problem-solving capability of the candidates. After the GD round, questions were asked to the selected candidates regarding real-life problems and obtaining structured answers for the same. So, if one is good with case analysis, the technical round should be an easy winner. In my perspective, the technical round played the dominant role in my selection. The HR round consisted of normal questions. But, do not take it to be easy, at all. I know people who lost their patience in the HR round. Have you seen a lake? It eventually calms down after a mild drizzle. Get the catch! I was assigned to the Flipkart Grocery team. It was a new division, and its operations were only confined to Bangalore. Since the team was on an initial phase of consolidating its business, my learning curve was relatively broader. The two months of extensive research helped me to understand that e-commerce is not as easy as it seems. Every week, a new problem statement arose, and we had to take steps accordingly to tackle it. The most fantastic point was that all this was real-time. A few bookish concepts did come into the picture, but it was more of the practicality and the experience of my team, which helped me to analyse a situation differently. At times, I was nagged continuously about my work, but that helped. The stress days were taken care of by the fantastic chai the office offered (add to it some ash, that I preferred!). The interns also witnessed the Walmart-Flipkart merger during this particular period. Additionally, the Flipkart University Relations team introduced us to senior officials. The same was followed by interactive sessions. The team also made arrangements for a movie outing, and another full evening dedicated to indulging the Flinterns (fancy, aye?) into numerous games and events. The flexible office hours gave me enough time to travel. A lot of it! This might sound stupid (not that I care. I have been told zillion times), but yes, I was living in Oyo rooms after my 15-day company accommodation was over. The understanding hotel manager agreed on checking-out on the weekends. So, most of my weekends were occupied by exploring places. The first weekend took me Kodaikanal. Hogenakkal Falls, Chennai, Tirupati, Nandi Hills, etc. followed on the list. The tagline on the Flipkart t-shirt ‘My Journey Begins’, aptly fit my situation. The journeys were impeccably satisfying. Rest of the weekends went in bar-hopping, meeting long and lost friends, and exploring Bangalore. The final week of the internship incorporated the final review of my project (I will wish to be quiet on that! ), and the amazing party the Campus Team had organized. There was also a video-shoot, which apparently was awesome. So, to sum it up, I did not try to dodge the arrows the internship and my life in those two months threw at me. I made sure I take every hit and decide whether it was actually fruitful or not. I gave my best not only my project, but also to explore. I created an extensive nexus that incorporated the interns, my colleagues and other non-office people I came across in Bangalore. The Summer Internship is indeed important from the career perspective. For me, it was equally significant from the perspective of experiential learning. My little advice to the juniors will be to take things seriously. But yes, do chill out! Whichever company you land into, make sure you grab the best out of it. Even if it’s not your dream company, you are not dying the next year that you cannot try for it again. But at least, do not let your organization, and especially your morale down during those precious two months. Work hard! Learn and grow! Simplify things. And to you Flipkart, I will convey my thanks, again! The opportunities, learnings, and experiences you have provided are immensely gratifying. To me, you will always be cherished as the colourful building of ideas! *Share your internship experiences for the Summer Saga competition on InsideIIM.com to win cash prizes upto 10,000 Rs!